Irish energy supplier Naturgy Energy has signed a natural gas and renewable electricity deal with Celtic Linen, Ireland’s largest independent laundry and linen hire company. Valued at €1.2 million per annum, the agreement will see Naturgy Energy supply Celtic Linen with gas and 100% green electricity to meet the year-round energy requirements for its operations at its main processing plants in Wexford and sites across the country. Established in 1926 as a small domestic laundry by the Scallan family, Celtic Linen has grown to become one of the country’s leading service providers for the hospitality and healthcare sectors. The company operates from a state-of-the-art facility in Drinagh, County Wexford, where it processes approximately 1.2 million pieces of linen each week – supplying laundry, rental services and product sales to hotels, hospitals, clinics, government bodies and businesses through its national distribution network. The energy deal coincides with Wexford’s connection to the national gas network which will help to significantly cut energy costs for businesses and also help to strengthen Wexford’s position in attracting future foreign direct investment. 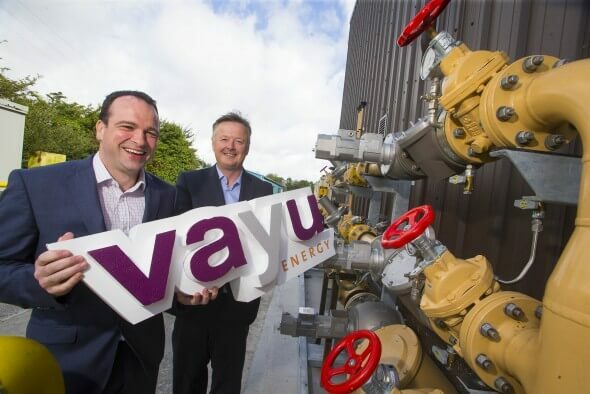 Naturgy provided expertise and advice in relation to securing a seamless connection to the grid for Celtic Linen which saw gas supplied to its Wexford site for the first time in mid-August. It will also provide Celtic Linen with direct access to wholesale market prices for both gas and electricity. The deal comes at a time when wholesale electricity prices have fallen significantly over the last 12 months with prices down 27% year on year in August. As part of a fully managed service, Naturgy will also provide Celtic Linen with risk management tools and a bespoke reporting solution to track energy performance in real time across its operations. The ability to source fully traceable, 100% green energy was a critical consideration for Celtic Linen, which puts environmental sustainability at the heart of its business and adheres to rigorous environmental management systems. The deal will result in an 18% reduction in Celtic Linen’s overall carbon footprint, representing a significant step toward meeting the company’s target of being 100% carbon neutral by 2024. Mr Behan noted that environmental considerations are playing a greater role when businesses purchase electricity in particular. He states that access to renewable electricity is becoming a very important issue as companies look to minimise their carbon footprint and limit the environmental impact of their activities. Irish energy supplier Naturgy Energy has signed a significant renewable electricity deal to supply Dundrum Town Centre with 100% green electricity.